It has a bold design with a sense of fun and a totally different style. The aggressive style of this crossover brings a breath of fresh air to the segment. It offers a generous distance from the ground level with standard 17 inches wheels and tires. One of the most special and distinctive options in the market of crossovers since its release, and which I had the privilege of testing the last weekend, is this vehicle from the Japanese firm Nissan, which with its unique design attracts the eyes of friends and strangers. 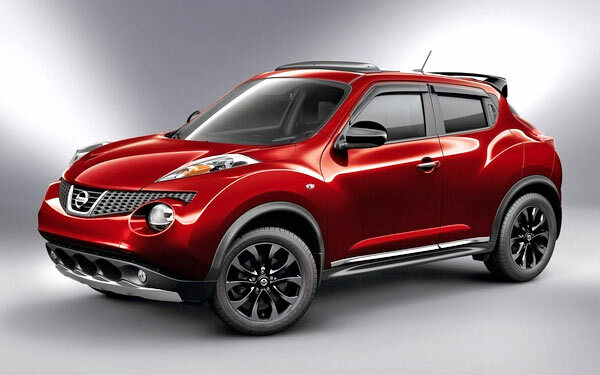 Since Nissan introduced the Juke to the market three years ago, the innovative model did not go unnoticed, nor caused looks of indifference among the public who was watching it. Despite the elapsed time, its strange and futuristic aesthetics, continually related to a frog, still inspire accessions and rejections equally. Among the interior features available are high-quality fabrics, leather seats, heated front seats, rear view monitor, Nissan intelligent key with ignition button, XM Satellite Radio, upgraded speakers with Rockford Fosgat sub-woofer, USB connection for iPod and other devices, power moon-roof and the tinted windows. What is undeniable is that its innovative stamp endows it with a great personality that matches to the fun it offers at the steering wheel. The great driving feel is due to the combination of the small size of this CUV (crossover utility vehicle) and the excellent performance of its 1.6-liter turbocharged engine, able to develop 188 HP. Although during the ignition I noticed the typical lag of turbo engines, the Juke picks up speed quickly. To this high level of response is added a precise steering wheel and a great feeling of control provided by the AWD system. 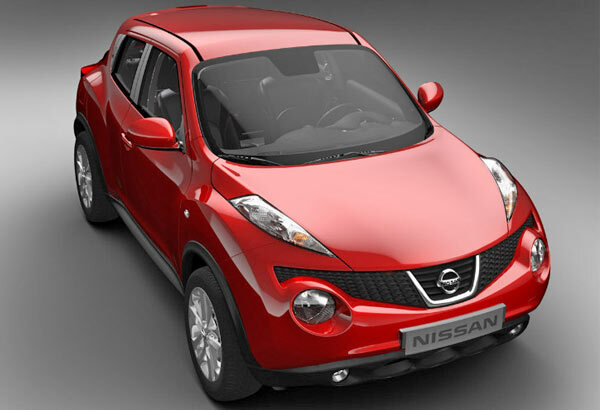 The Nissan Juke combines the best qualities of a sports car and includes a sporty driving position, dynamic handling and powerful turbo engine, with the best aspects of an SUV. In the Juke that I was testing, the SL AWD, the engine is coupled to a Xtronic CVT (continuously variable transmission) with S or sport mode, although it is also offered a manual six-speed, for the SV and SL front-wheel drive models. Both versions have in common an outstanding fuel consumption. In the case of the Juke I tested, it reached 25 MPG in the city, 30 MPG on highways and 27 MPG in combined cycle. This vehicle labeled among the B-segment hatchbacks not only stands out for its lines that are beyond the ordinary or its dynamic and sporting performance, but also differs from its competitors by an atypical proportions. 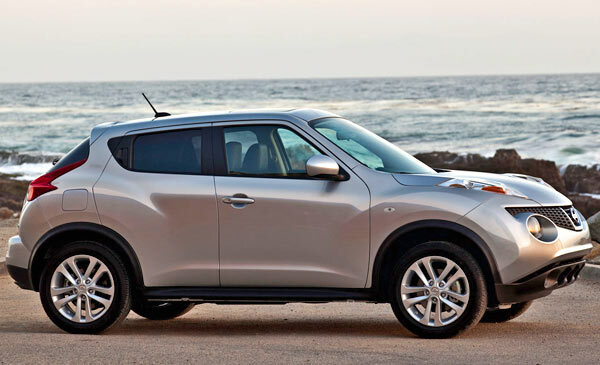 The Juke has a robust body, good elevated height to ground level, good visibility, confident stance and AWD available. The Juke is longer than a traditional hatchback but it's not as much as other crossovers, fact that makes it a practical model for the user who needs a good cargo space (folding down the second row of seats), but who is also seeking the feeling of handling a small and agile vehicle in both circumstances, when driving it and at the moment of parking it. When I sat on the driver's cab I found that, although it has a very modern look, its style fails to match the level of innovation of its exterior. The interior is aggressive with reinforced front seats, a wide instrument panel and a unique center console inspired in the fuel tank of a motorcycle and with finished in high gloss paint. 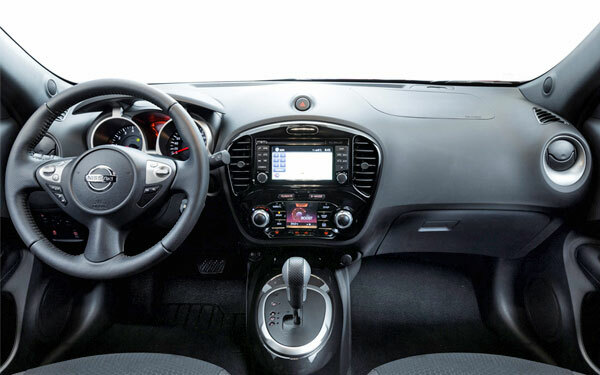 Among the highlights of its technological equipment there are two LCD screens located in the center console, the primary with the audio and navigation system and the secondary integrating the air conditioning and the interface through which you choose one of the three driving modes. The gear shift lever is located on the top of the console, inspired by the position of the lever of a sports car. 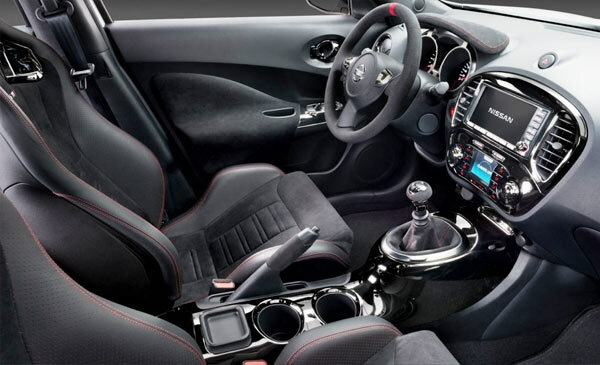 With regard to interior space and comfort, the Juke offers sensations really comfortable to the occupants of the front seats thanks to items such as leather seats and sunroof (the Juke I tested had the complete equipment). The situation is different in the second row of seats, which has little space and is functional only for children or for short trips. 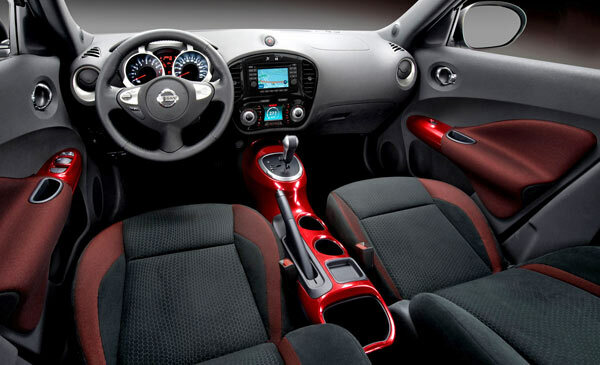 It is noteworthy that when you fold this seat, the Juke has a large cargo area. 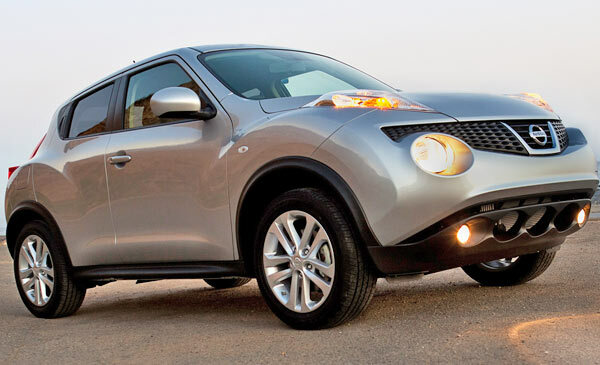 In short, the Juke is presented as a versatile option, valid for the driver looking for fun at the wheel combined with a distinctive aesthetic. Despite the general compact dimensions, the interior offers an ample space and room for five adults at a competitive level according to the segment. 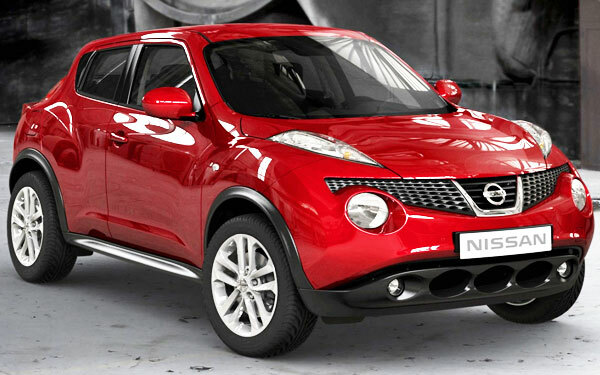 The Nissan Juke is available in 4 different trim models. The S, SV, SL and Nismo. The S model is the cheapest one, and you can find it for less than $20,000 dollars in your nearest Nissan dealer. The SL is the best equipped of all of them, and of course, the most expensive, with a starting price of $24,290. The Nismo includes 9 horsepowers more than the other models. From Wikipedia: A crossover (or CUV: crossover utility vehicle) is a vehicle built on a car platform and combining, in highly variable degrees, features of a sport utility vehicle (SUV) with features from a passenger vehicle, especially those of a station wagon or hatchback.